Today I have the amazing A.J. Hartley on our blog! He graciously answered a few questions about his latest novel Steeplejack which released today!! 1. How did you come up with this intriguing story line? The core ideas actually shifted a number of times as I worked on the book. At one stage there were more fantasy elements, at another (very early on) the hero was a boy. I think a lot of the world of the story came together as I planned and went on a trip to South Africa and Swaziland. 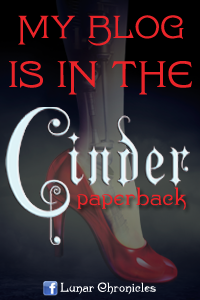 But in a broader sense, I feel like the book has elements of stories and genres I’ve been working with all my life and that they intersected here—mystery, fantasy, adventure, Victoriana and social issues. At the beginning I think I was thinking of what became Steeplejack as two different books, one a fantasy, the other a fairly realist and more “literary” mystery, and then I realized that the two could be woven together to make something that felt (to me, at least) new and compelling. 2. This is the first book I've ever read where the main character is a steeplejack, how did you come up with that idea? Steeplejacks were still a part of the world I grew up in, since I was raised in Lancashire, a place that still had a lot of old Victorian factory chimneys which had to be maintained or taken down. I live in Charlotte, NC, now, and the first idea came from spotting an old and abandoned factory chimney which had a bush growing out of the top. It got me thinking about steeplejacks in general and I quickly came up with something very like the cover art for the book! I didn’t have a story idea yet, but I could see this character (a boy at that time) scaling one of those chimneys, and I loved the visual drama of the thing. 3. Which character was the hardest to write? Hmmm. Tricky. Since the story is told in first person, everyone is mediated by Ang, the protagonist, so I guess it has to be her. In fact I didn’t consciously feel great difficulty writing her because I intuitively felt like I understood her, but I needed to modulate my sense of how she would think of her situation and the people around her because her social situation is not mine: I’m living in the twenty first century, I’m, white and I’m male. She is much younger than me, female, effectively Victorian and of an embattled racial group. 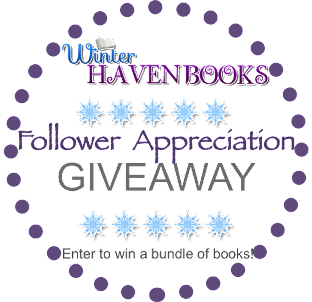 All of those things had to be navigated very carefully and I relied on input from other readers to make sure I was getting it right. 5. Can you share what you are currently working on? A.J., thank you so much for stopping by! 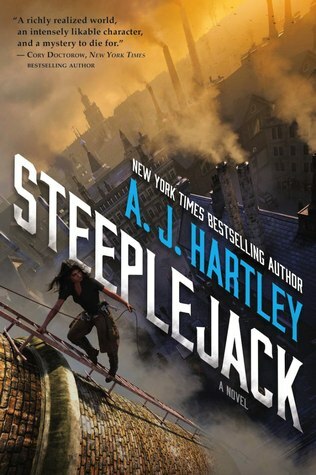 Steeplejack was a definite 2016 favorite of mine and I cannot wait for the sequel! I am also VERY intrigued with Cathedrals of Glass! It definitely sounds like my kinda book and well I'm a huge Blink 182 fan so having Tom DeLonge on the project with you is an added bonus! So excited! I'm not big on politics in YA, but I guess that's the new rave. I've enjoyed a few but others lose me. I like the premise so I may check this one out. Great interview!